Recruiting and retaining top talent has a lot to do with the benefits and incentives offered at your company. Today, it can be difficult to discern what it is that really attracts employees, and then what continues to motivate them once they've been hired. There needs to be a balance between over-the-top perks like unlimited vacation days and a good package of traditional benefits like a 401(k). Citing data from the Corporate Executive Board, covering the majority of Fortune 500 companies, Inc. reported that workers who feel good about their work-life balance generally work 21 percent harder than their counterparts who don't feel fulfilled in this area. Research has shown that work-life balance can lower absenteeism and reduce stress among employees. There are a number of incentives you can offer employees that help to encourage work-life balance and drive engagement and productivity, many of which won't cost you a dime. Consider allowing a work-from-home policy that grants employees one to two days per week or one Friday per month. As Inc. explained, job satisfaction and output increase among those working remotely. Similarly, encourage employees to choose their own office hours, within certain parameters. This provides the opportunity for staff to work out in the morning if they prefer, or get their kids to daycare on time. Additionally, opportunities and incentives that promote work-life balance have been found to improve retention, thus, reducing time and costs spent on recruiting and training. As a report from the Center for American Progress highlighted, turnover can amount to more than one fifth of the annual pay of your employee. Additional cost-friendly options include providing work flexibility or more time off. Other incentives that encourage work-life balance may be things like gym memberships, wellness days or time off to volunteer. Ultimately, one of the main things that employees want is for their hard work to be recognized. As the American Marketing Association explained, recognizing the productivity, innovation and time commitment of employees can help to drive engagement. Praising great results and success in the field should be always be done, as it can encourage employees to continue their hard work. Implementing monetary programs for a job well done on both an individual and team level can help increase motivation and productivity as well. The AMA added that competitive compensation can keep your employees on their toes and increase performance. The combination of encouragement and monetary incentives can go a long way. Many companies see perks such as catered lunches on Wednesdays, office happy hours on Fridays and free fitness classes as replacements of more traditional benefits. If you're worried these incentives will break the bank, distract employees from their work or aren't necessary because of the well-rounded benefits package your company offers, think again. 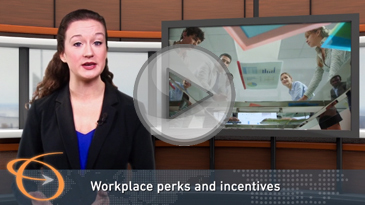 If you want to drive engagement and see lots of smiling faces in your office hallways on a regular basis, consider implementing low-cost 'bonus' perks. These can include things like flexible hours, fresh fruit and snacks in the kitchen and even an in-office shower and towel service to promote work-life balance, The StartUp explained. Other tactics such as nap areas, game rooms and office bars can drive social connections among different teams. "Employee perks can at first appear to be bait on the hook - purely there to catch the biggest fish," wrote Alex Holderness in The StartUp. "But the truth is that a well-designed employee perk package can help the employer day-to-day as well." Happy employees, who actually have fun at the office, are more likely to feel connected to a company, its goals and its mission. Even small, inexpensive gestures like donuts in the middle of the week can go a long way in helping employees feel valued, which translates to engagement and productivity. Moreover, driven employees who are passionate about the brand, can be great ambassadors who promote the company culture and your employer brand. An office filled with satisfied workers is apparent immediately, just as a space filled with unmotivated, unhappy employees is as well.